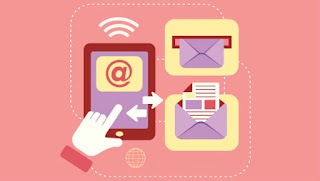 Your email list plays a paramount role in your marketing. In 2012, 3.3 billion people had an email account. That number is expected to crest 4.3 billion by the end of 2016, according to a report by tech market research firm, The Radicati Group. With numbers like that, it makes a lot of sense to continuously increase the number of email contacts that you have. A growing email list can attract new customers, generate buzz about your business, build relationships and increase your bottom line. To help you substantially build your email list, we’ve put together a list of four effective ways to increase your subscribers. Each of the four methods below has detailed instructions so you can improve your list without a huge learning curve. You’ll save time and inject your list with new names at the same time. If you want to capture more emails, an overlay is a simple way to not only grab a visitor’s attention, but to also encourage him or her to give you an email address. The background goes dark, the message appears on the screen and the reader can close the window or enter information. They’re similar to popups that were popular a few years back, and some people use the terms overlay and popup interchangeably. How well do they work? According to E-consultancy, an overlay brings in 400% more email addresses compared to other online opt in forms. We should point out that these tools aren’t free. The three options above have various pricing plans, but range between $25-$49 per year. When you think about it, that’s a small price to pay to grow your email list with engaged subscribers who want to hear from you. We picked the three sites above because of their ease of use. Once you’ve signed up you can use premade templates to design an overlay, you can adjust the colors to match your branding, add your own images and control when the overlay pops up on your page. With A/B testing, you can also test several different overlays to see which one your visitors prefer. Your membership includes analytics, so you can see how well your overlays are doing too. Change the colors of the templates to match your logo or brand. You want the overlay to complement the look of your website. Have the box pop up 15 seconds after a visitor hits your site. E-consultancy tested the best time for the box to appear and 15 seconds was the winner. Use A/B testing. Take a few extra minutes to test your design. It will only improve your success. When creating the text, focus on your audience. Tell them what they get by signing up. For example, say “Sign Up For Our Newsletter and Save,” or “Join Our List For Weekly Budget Tips.” Tell visitors what the benefit of signing up is like in the example below. A great way to get more email addresses from folks who want to hear from you is through a contest on social media. You have a lot of options when it comes to contests, but the main idea here is to get participants to enter their email address to get something. You can run a contest on any social media channel, but since so many small business owners have a Facebook page, we suggest you start there. Shreyans Parekh, owner of Koyal Wholesale, a special event supplies company, says social media contests are of the most effective ways he collects email address. Heyo. You can try it for free, but plans start at $25 a month. We found several promising case studies that support Heyo. Lilly Pulitzer used Heyo to run a contest. They gave away 50 diaries, which the company sells. The campaign resulted in 9,000 emails captured, 2,000 of those were captured from a mobile device. Woobox. Users say it’s easy to navigate. You can try it for free, but plans start at $15 a month. This program works with other social media channels as well, so you’ll be able to launch contests on several platforms. Here’s an example of a contest created from Woobox. Photo contest. Collect an email address and ask your audience to submit a photo of them using your product. Here’s an example. Video competition. Collect an email address and ask your audience to submit a short video. A hotel-booking site, for example, could ask its audience to submit the best moment of their vacation that was caught on video. A simple giveaway. Ask people to enter their email address to be entered into a free giveaway. The winner is selected at random. It’s simple, yet effective. Keep it simple. The contest or giveaway shouldn’t be complicated to understand. You should be able to spell it out in a few words. Offer a related prize. The prize you giveaway should have something to do with your company. Giving away a free iPad is cool, but if your business sells seeds, an iPad doesn’t make sense. Read the rules. Facebook does have rules when it comes to contests and giveaways, so read through them before getting started. Promote your contest. Turn to other social and digital channels to spread the word about your contest. 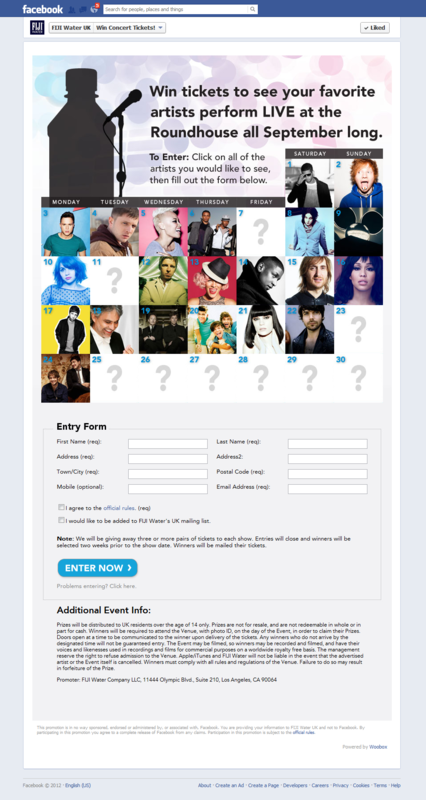 Don’t forget, you can email you current contact list about the contest too. You can include the contest details in your next newsletter as well. Send a follow up email. Once the contest is over, reach out to all of the participants and thank them. You might offer them a small coupon or discount code to engage them. Once a consumer clicks on the call to action, the person’s name, Twitter handle and email address is pre-filled into a small card. All the consumer has to do is hit submit. In return, you get a bunch of new contacts for your email list. According to Twitter, one client compiled 1700 new email addresses in a week by using this tool. 1. You need a Twitter Ads account. If you don’t have one, you can sign up here. 2. You have to decide how you’ll collect the data from your cards. You can download a spreadsheet from Twitter, or you can have the data delivered through an automation system like Salesforce. 2. Go to the sprocket in the right hand corner and click Twitter Ads from the dropdown menu. 3. Click on the Creatives tab in the navigation bar at the top and click Cards. 4. Click Create Your First Lead Generation Card. Add an image. The dimensions are unique. The picture should be 600×150 pixels with a 4:1 aspect ratio. You can use the preview button to make sure the picture looks right. Write a short description. You should promote a sale or an offer. An incentive is the best way to entice people to submit their email address. Space is limited to about 80 characters. Additional link. Provide an additional link so your audience can learn more about you. Select a call to action. This is the button your audience will click on before submitting their information. 1. Now you need to attach the card to a tweet. To do so, click the Tweet button in the upper right hand corner. 2. Create a tweet in the box. 3. Before you send it out, click on the card icon in the box and attach the card. 4. You can attach a card to a promoted tweet, which means you’ll pay for the card to be exposed to people outside of your followers. You can set the budget within you Twitter Ads account. We’ve gone over some fairly modern, digital ways to collect email addresses, but there’s a simple, low-tech way to snag more contacts too. Break out your clipboard and ask people to sign up for your email list in person. Yes, in person. You can simply use Microsoft word and create a two-column table that asks for a person’s name and email address. You can even download and print a simple form online. Trade shows. When you set up at a trade show, have your form sitting right on the table. When you interact with someone, ask if they’d like to sign up. Business events. Hosting an event? Pass the clipboard around to collect email addresses while people mingle, or ask people to sign up as they check in. At the register. If you have a brick-and-mortar shop, leave the clipboard at your register. Have the cashier ask customers to sign up after they have paid for their purchase. While this list offers four specific ways to increase your email list, there are many ways to do so. Considering the value of your email list, you want to continually make efforts to add to it. And of course, we’ve written extensively about using email sign up forms to collect email addresses and why they are a no-brainer for your business. What’s the most successful way that your business has found to collect email addresses? Share your experience in the comment section below.